William Wurster and the Pope house of Lafayette (1940). 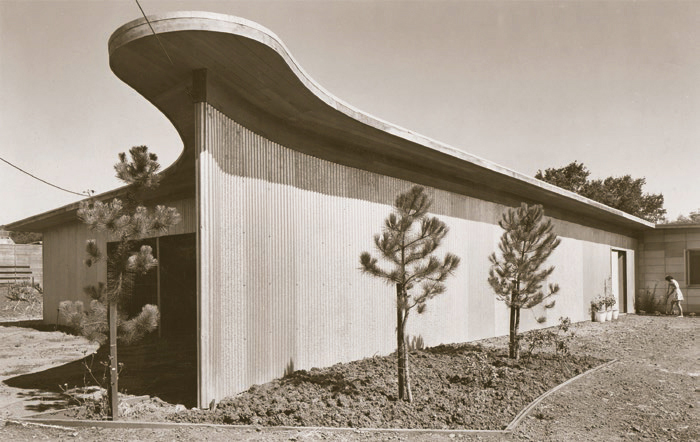 Did we say modern architecture didn't come to Northern California until the 1930s? Not if you count Bill Wurster's ranch-like houses—and to understand Bay Region modernism, you have to. Wurster's Gregory Farmhouse, built in the hills above Santa Cruz in 1928, was a simple, apparently informal, arrangement of low-slung living spaces around a courtyard, vernacular in a way—yet with the architect's casual elegance. He went on to design similar homes in the golf course development of Pasatiempo. What made these homes modern was their simplicity, lack of pretension, and indoor-outdoor living areas. Many were collaborations with landscape architect Thomas Church. It is telling that Wurster's development of the modern ranch house coincided with building designer Cliff May's development of a similar 'ranch house' in San Diego. 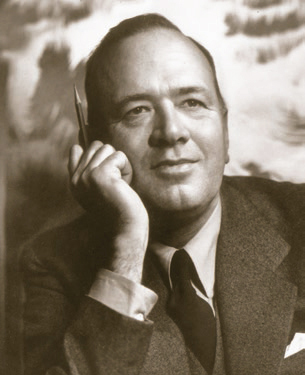 Wurster (1895-1973), a Stockton boy who studied at UC Berkeley, designed homes in various more traditional styles through his early career. But from the mid-1930s on, his work grew increasingly modern in appearance, with wood-sheathed rooms opening to the out of doors through walls of wood-mullioned glass, and with 'living porches' carved out of what would otherwise be interior space. It is notable that Wurster developed his own form of modern house, and not through the influence of either Frank Lloyd Wright or the European innovators. Rather, his modernism grew from his desire to create a livable, simple house, with its floor on or near grade with easy access to the out of doors. As a partner in the firm Wurster, Bernardi & Emmons, founded in 1945, Wurster helped create such Bay Area monuments as San Francisco's Ghirardelli Square and that city's red-granite downtown Bank of America tower. It was as dean of UC Berkeley's College of Environmental Design from 1950 to 1963 that Wurster had his greatest influence, promoting his non-doctrinaire view of Bay Tradition modernism.